The North East end of West Bengal covers the corridor leading to several Indian states in the Bramhaputra river basin. There is a Siliguri – a city which is a transport hub for traveling to all the neighboring countries – Nepal, Bhutan, Bangladesh, Myanmar and also to the Eight Sisters – 8 eastern states of India. They include – Sikkim, Assam, Arunachal Pradesh, Nagaland, Manipur, Mizoram, Tripura, Meghalaya. The eastern states of India are characterized by high humidity, this area is the Brahmaputra basin. state Assam has a relatively higher annual rainfall compared to other states. These waters feed the Brahmaputra, its tributaries and lakes in the basin. On the Brahmaputra river lies Majuli – the world’s largest river island inhabited by people. Their homes are adapted to the annual flooding of land by monsoons, and the economy is based mainly on fishing. 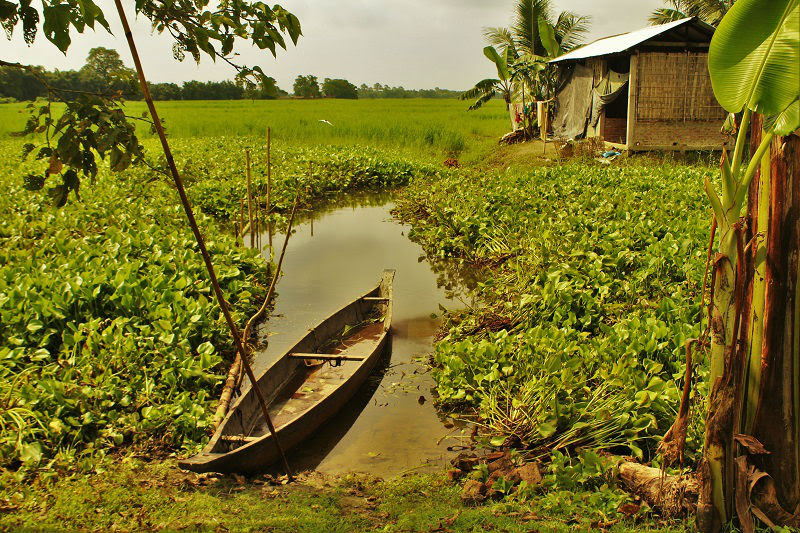 At the bottom of the river, below Majuli, near the city of Guwahati lies the smallest inhabited island in the world, Umananda Island. There is a small Shiva temple from the seventeenth century, as well as numerous rock carvings. Umananda is the place of residence of golden langur – an endangered species of primates. The capital of Assam is Dispur, and the official language of assamese. In addition, the locals speak Bodo and Bengali. Meghalaya was separated in 1972 from Assam. The official language is English, there are also 6 other regional languages. The tradition is a social structure based on a matrilineal kinship system, which currently occurs only in a few places on Earth. 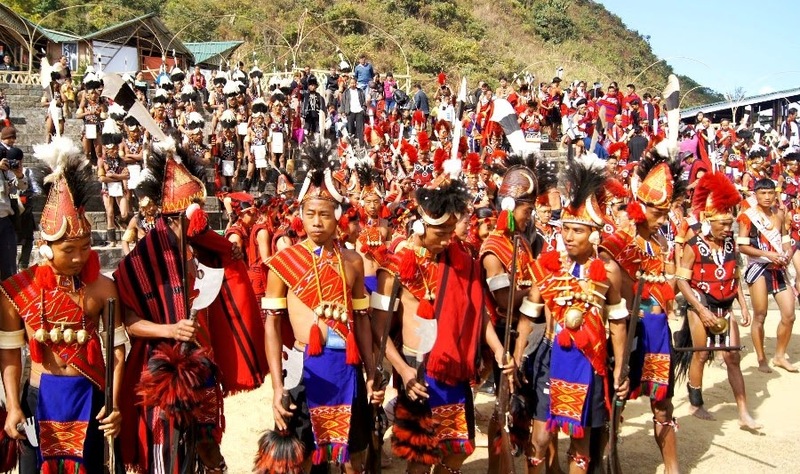 Each of the three tribes that live today in Meghalaya has its own culture, customs, language and traditional costumes. The region is the main trade logistics center with Bangladesh. Afforestation covers almost 70% of state territories with numerous rare plant species and rare species of bat, peacock and gibbon, red panda and – among others – bears and elephants. Meghalaya was defined as the most wet place on earth – its heavily forested, evergreen hills are called by the English East of Scotland. state offers a variety of attractions such as water sports and speleological expeditions within the hills in the Cherrapunji area, the tourist capital of the region located 50 km from the state capital of Shilong. 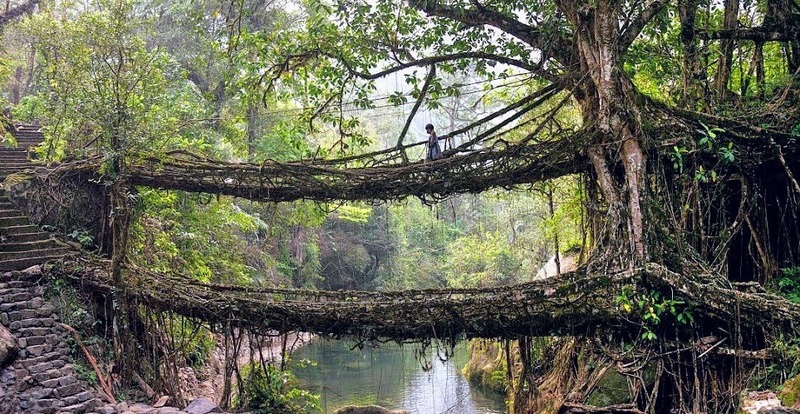 Cherrapunji is also known for its numerous bridges formed from the living roots of a certain variety of ficus. Meghalaya also abounds in attractions such as hot springs with highly healing properties and numerous waterfalls, caves and lakes. One of the smallest states of India – is special due to the multiplicity of different tribes inhabiting the region. The number of tribes is defined as 16, one of the best known is the Sumi tribe. Like other tribes in this region, they maintained the ritual practices of headhunters until the 19th century. Many old tribal warriors pride themselves on tattoos that speak of the number of heads they’ve acquired. In some regions, up to now, they have been practicing their version of shamanism, worshiping the forces of nature, but most tribes have succumbed to Christian missionaries. At present, almost 90 percent of the population is Baptist Christians. From ancient tribal traditions, mainly festivals taking place on the occasion of completed harvest or other seasonal events or anniversaries of victory are cultivated. In total, there are so many festivals and festivals in Nagaland that it has been declared the festival capital of India. Festival events include pork food contests, chilli eating, fire-eaters’ displays, wrestling … some of these competitions are a remnant of the recent death-and-life daring – to bring the winner’s glory – taking place in the arena within the village. Former tribal traditions, spectacular events organized by people in their traditional costumes, handicrafts, music and dance folklore – including tribal war dances – as well as the richness of nature form the basis of tourism in Nagaland. The capital city of the state is Kohima, the official language is English. Also known as Kanglei, lives in the population of several tribes, of which Meitei is the largest ethnic group. The official language of the state is meitei (or manipuri) and English, and there are about 30 dialects in use. There is also a lot of religious diversity: 80 percent of the population are – in a similar number – Hindus and Christians. Some traditional tribes adhere to an ancient faction of animism – Sanamahism – mainly worshiping the sun as Sanamahi. Within the Kangla fort at Imphal you can see the Sanamahi temple. The capital of Manipur is the city of Imphal. 43 km from Imphal lies the Loktak lake, powered by stream waters. The shore of the lake, as well as numerous islands inhabits the population engaged in fishing. Many islands are floating islands inhabited periodically by the People of the Lake, involved in the breeding of the lotus. Some of the islands are naturally large, large water plants, while others have been artificially created to facilitate fishing. Manipur’s economy is also based on a nearby hydropower plant. Part of the coast includes the Keibul Lamjao National Park which is the last stallion of the deer sangai deer threatened with extinction. 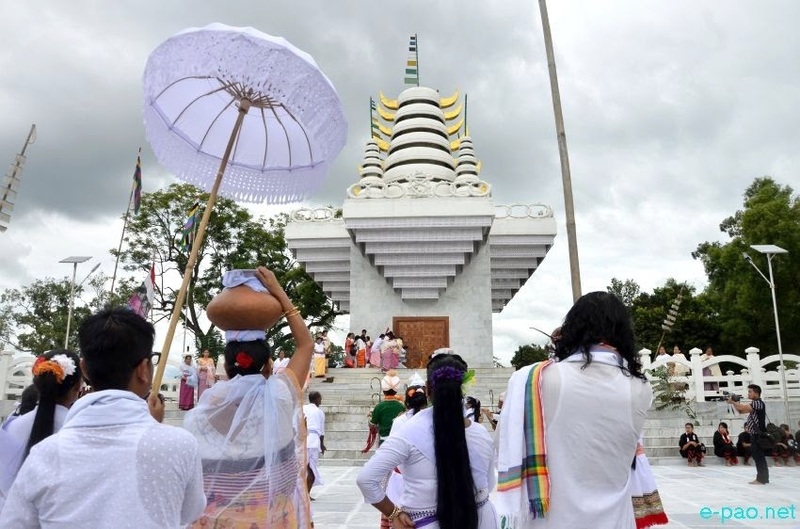 Manipur has its own specific culture including theater art, music, specific musical instruments, ancient Jagoi dance and a sport that combines inventories, hockey and traditional tribal games. During the year there are several festivals, other than in other states. Uses mainly the language of Bengali and the regional Kokborok used in the tribal population. Among the minorities there are also nine other languages. The capital is located in Agartali on the plains. The city is known for its many varieties of seasonal fruits, surrounded by orchards of extremely juicy oranges, litchi, cashew and pineapple. The state includes five mountain ranges: Boromura, Atharamura, Longtharai, Shakhan and Jampui. About half of the Tripura’s territories are afforested. Located 35 km from the capital, the Sepahijala Wildlife Refuge boasts a diversity of fauna, mainly monkey species. The culture of Tripura is a combination of regional traditions and Bengal culture. Crafts based on bamboo, reed and wood offer functional art – dishes, fans, mats, furniture and regional musical instruments: sumui (type of flute), chongpreng and sarinda (stringed instruments). Each tribal community cultivates its own dances and songs practiced at numerous festivals and family holidays. It is worth visiting the Bhuvaneshwari temple designed by the great Bengali poet – the author of the current hymn of India and the Nobel laureate Rabindranath Tagore to celebrate the honor of Bhuvaneshwari – Saint Mother Adi Shakti, the creator of the world. 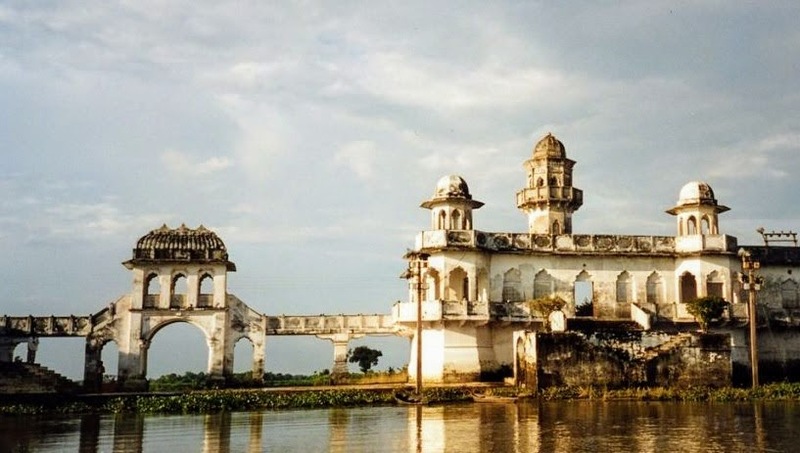 53 kilometers from the capital, near the town of Melaghar in the middle of Lake Rudrasagar there is the noteworthy Water Palace (in Bengali: Neermahal), combining the architecture of Islam and Hindu. About 170 km from the capital there are rock sculptures from the seventh century worshiping Shiva called Unakotii. Mizoram is afforested in an area of about 75% of its territories. Wild water buffalo, sumatran rhinoceros and numerous species of birds occur within them. The capital of Mizoram is Aizawl, and its official language is mizo and English. Over 90% of the population are tribes. Many of them came from the regions of Southeast Asia in the 16th century. 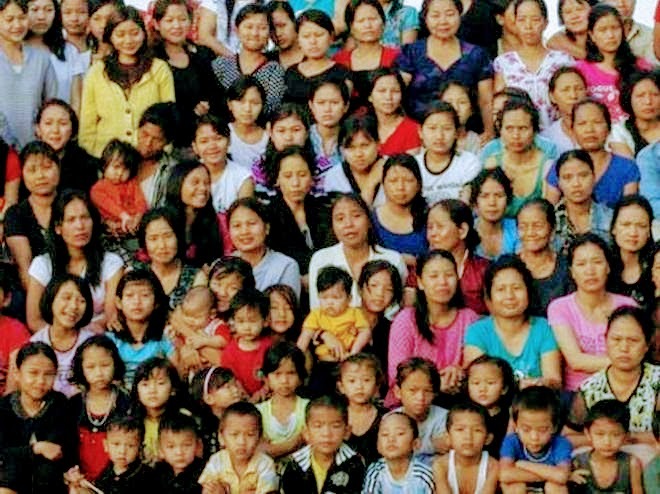 The overwhelming majority of the population have been missionized and now Mizoram is inhabited mainly by Baptists and Presbyterians. In the village of Baktawng, located 70 km from Aizawl, lives the largest family in the world, whose head is 73-year-old Ziona. The family currently has 181 people – including 39 Zion’s wives – and lives in a four-storey block. Ziona is the founder of the Christian sect known as Chana Pavl, with over 4,000 followers admitting polygamy, as well as a school oriented towards the education of his children. State Sikkim, the second smallest state of India covering part of the Eastern Himalayas – including Kanchenjunga, the highest peak in India and the third highest peak of the earth – is special due to the diversity of plant and animal species in this area due to the presence of both subtropical and alpine climate. The territories of Khangchendzonga National Park include more than 30% of the state. Natural resources include numerous glaciers and hot springs, including sulfuric ones. The capital of Sikkim is Gangtok. There are many different languages ​​in the region, as it is an ethnic melting pot, but English is both the official language and the medium of teaching in schools. The dominant religion is partly Vajrayana Buddhism, partly Hinduism. According to the inhabitants’ beliefs, the region lies on the travel route of the great teacher of Buddhism, Padampa Sangye, who lived and taught in the eighth century. State Sikkim has a rich history as the Kingdom of Sikkim, lying on the Silk Road route, founded in the 17th century by the Namgyal dynasty. 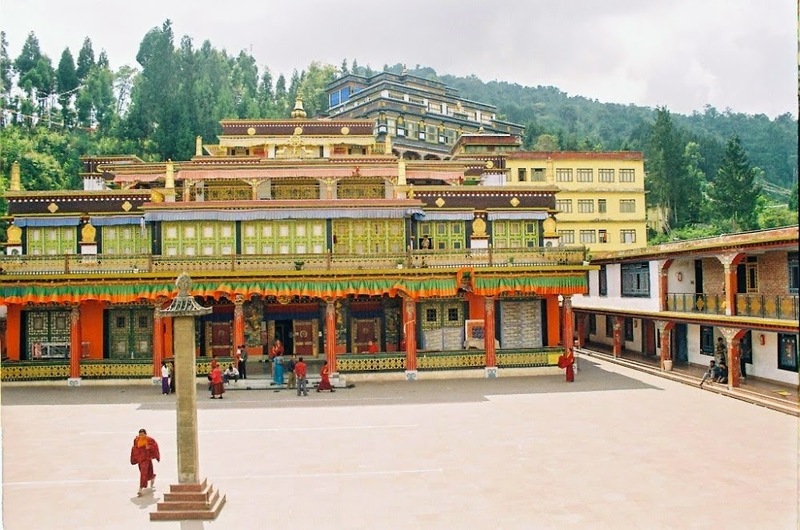 The Rumtek monastery houses the seat of the 17th Karmapa, Ogyen Trinley Dorje. Without delving into the political nuances in this article, I will only mention that the situation in the Sikkim region – as in the Darjeeling region in the north of West Bengal – is not secure due to the presence of Chinese and Indian troops in the region. The relatively high proportion of tribes inhabiting the state of Arunachal Pradesh remains followers of the indigenous religions of the region worshiping the forces of nature, of which Donyi-Polo is best known. The part of the population that has grown in these traditions receives some Hindu beliefs. Tibetan Buddhism predominates in the Tawang region, West Kameng and the Tibetan plateau, while the Theravada Buddhism dominates the Burmese border region. The capital of the state is Itanagar, and the official language is Hindi and English. 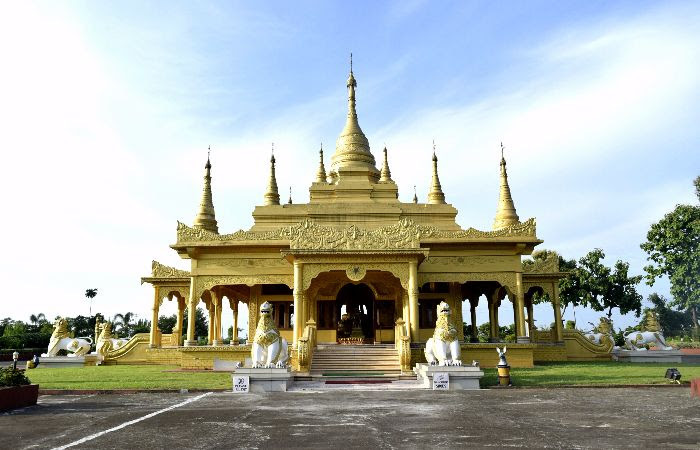 Worth a visit in the state of Arunachal Pradesh is the monastery of the Golden Pagoda in Namsai. The Tibetan region of Arunachal Pradesh is continually an area of ​​China’s claims that did not recognize the legitimacy of the Simel Agreement signed by Tibet and India. The main reason for political greed is the huge potential for hydropower.